Sunnyside stepped up in its hour of need. 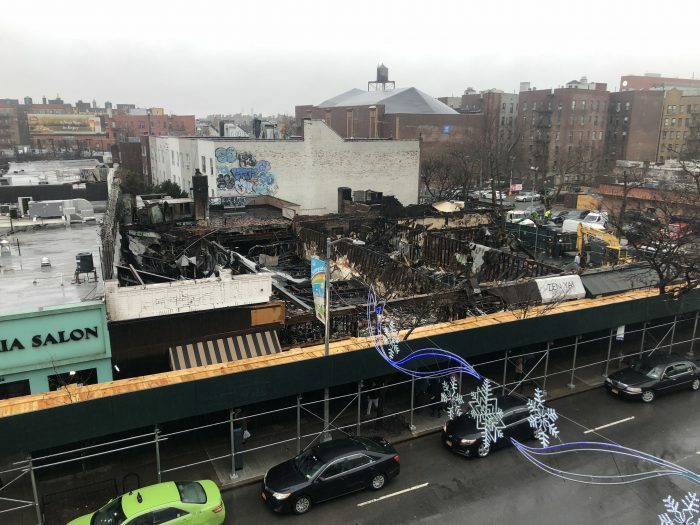 About 80 percent of the 103 employees who lost their jobs following the 5-alarm fire that broke out on Queens Boulevard in December have found new employment, according to Sunnyside Shines, which managed the relief effort. Many have been recruited by local businesses. Bean said that some businesses hired workers just to help out those in need. The community also pitched in, she said, to help the displaced workers while they were between jobs. 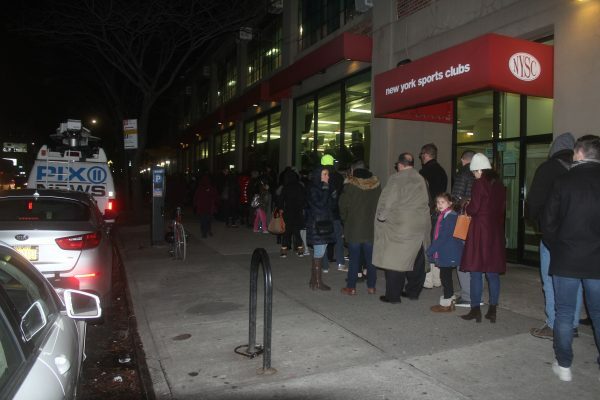 The public raised $165,300 through the Sunnyside Fire Relief Fund, a fund that was launched just hours after the blaze tore through New York Style Eats, Sidetracks, UPS, Zen Yai, Romantic Depot, and Better Line Hardware. The fund included $40,000 that was generated on Dec. 17 through a fundraiser held at Sunnyside Community Services. More than 600 people attended the event to show their support and contribute. In January, Sunnyside Shines registered all the employees who went without wages following the fire and has now allocated most of the funds. “We were able to provide 103 displaced workers with just short of $1,600 in assistance each,” Bean said, adding that Sunnyside Shines will be releasing the financial records so the public can see precisely how the money was allocated. Bean said that some of the workers still seek full-time positions. She said that the BID is still working on their behalf to help them find positions. The cause of the fire still remains under investigation, an FDNY spokesperson said last week. Two of the businesses that were devastated have re-opened in Sunnyside since. 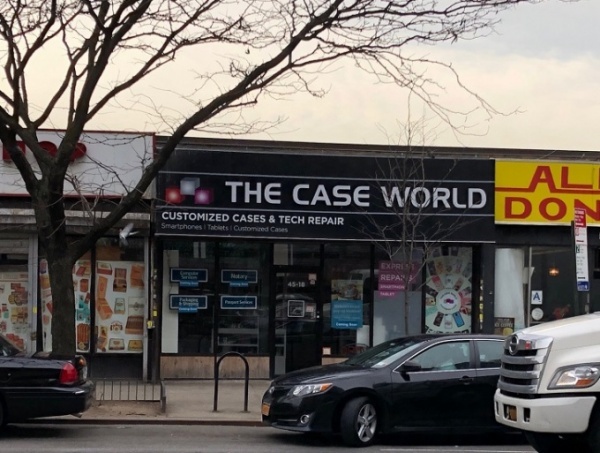 The UPS store has reopened a temporary spot at 45-18 Queens Blvd., while Better Line Hardware is now located at 43-24 Greenpoint Ave. The new pop-up location for the UPS Store at 45-18 Queens Blvd. What’s going on with Verizon in sunnyside ? Someone told me no on Eats. But that Sidetacks was reopening in a space on 43rd Avenue between 42bd & 43rd Street. Anyone know is Mario & the other waitor from Eats got jobs in the neighborhood & where? So there it is. its always about jobs jobs jobs and the small business of the community helped get employment for those displaced by the fire. For all of you people who think Cortez/Vanbramer/Gianaris did such a good job in running Amazon out of town, let me ask you, how many jobs did the 3 airheads create? -12000+3=-11997 jobs. Those 3 jobs are for themselves. This article is not about Amazon, but you Amatards are always trying put Amadong into the comments of all the articles. Why don’t you fly to Bozo’s house and complain to him Amacrybaby? They ran them out so we can keep our community as is. Our community helps we are each others neighbors. If you don’t understand that go live in UES, Hell’s Kitchen, Williamsburg, or Greenwich Village. in other words you want to continue to live in your subsidized apt, pretend you are part of the community. When all you really care about is yourself. Hell, you probably are not living in Sunnyside for more than 3 years now feel you are the mouthpiece. Oh for sure. Amazon definitely would’ve scooped up all the displaced restaurant staff as code-writers years before their campus was built. You’re a genius, man. Not an absolutely useless brainless fool, at all. If Queens is as horrible as you all say it is, when are you whiners finally going to give up and leave? That’s rhetorical, of course. Can’t leave if you were never here, since the pro-Amazon trolls are all real estate developers living in Brooklyn and working in Manhattan. Haha! 3 airheads!! Their only concern is THEMSELVES! Three blind mice!! Did they ever announce out what caused the fire? the same thing happened when Donovan’s went on fire years ago no answers how that fire started but I am sure people actually know and as usual it was kept under wraps. People always thumb down my comment. They dont wanna fathom the idea that they’re neighborhood is inundated by a Mafia. Just hang around Boon for some time, you.ll see it. This wasnt caused by some candle that was left on..this was deliberate and nobody is talking …exactly what happened years ago to another string of stores.